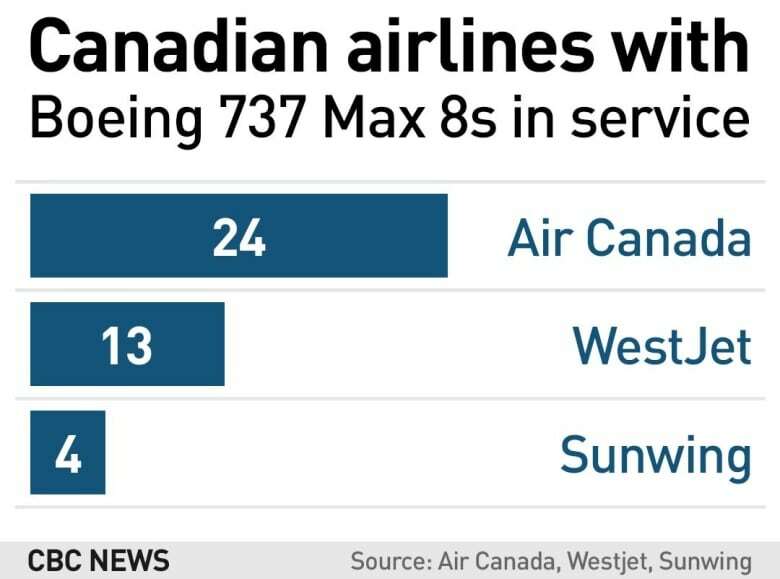 Before Sunwing made its announcement late Tuesday night, Air Canada had already cancelled several flights after the U.K. and EU closed airspace to Boeing 737 Max 8s. Sunwing Airlines says it is "temporarily" suspending flights of its four Boeing 737 Max 8 planes. A Max 8 was the plane involved in a deadly crash in Ethiopia last weekend that cost the lives of 157 people, including 18 Canadians. 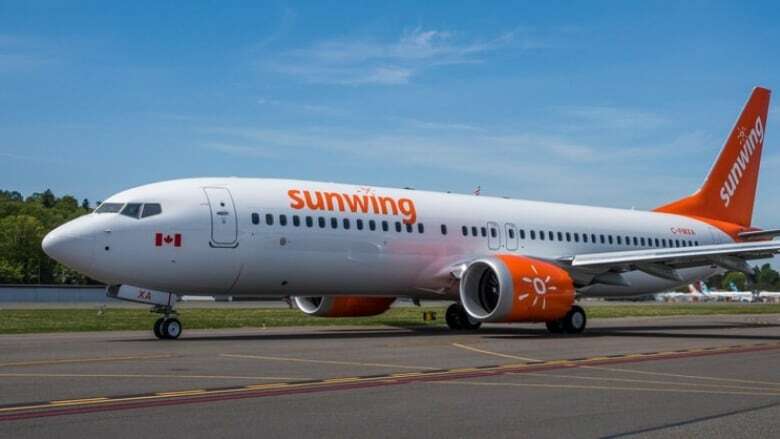 Sunwing, which specializes in travel between Canada and destinations in Central and South America, said the decision to suspend the use of the Max 8 was not related to safety and was instead about "evolving commercial reasons" such as airspace restrictions imposed by some destinations. "The FAA has issued a statement of continued air-worthiness of the Boeing 737 MAX 8 and we have confidence in the investigative process as well as the handling of this matter by Transport Canada and the other Canadian operators of the MAX 8," Sunwing said in a statement released Tuesday night. "We appreciate the patience of our retail partners and customers while we work to communicate these updates. We will endeavor to minimize the impact of these schedule changes." Earlier, Air Canada cancelled multiple scheduled flights to and from London after the U.K. closed its airspace to Boeing 737 Max 8s. France, Germany, Ireland and several other countries all followed the U.K.'s lead and also closed their airspace to that specific type of aircraft Tuesday. By the afternoon, the European Union Aviation Safety Agency (EASA) had grounded all Boeing 737-8 MAX and 737-9 MAX airplanes and banned all commercial flights of those models performed by third-country operators from EU airspace. Air Canada cancelled two flights on Wednesday between Montreal and the Caribbean island of Guadeloupe, since it is a French overseas territory and falls under EU rules. 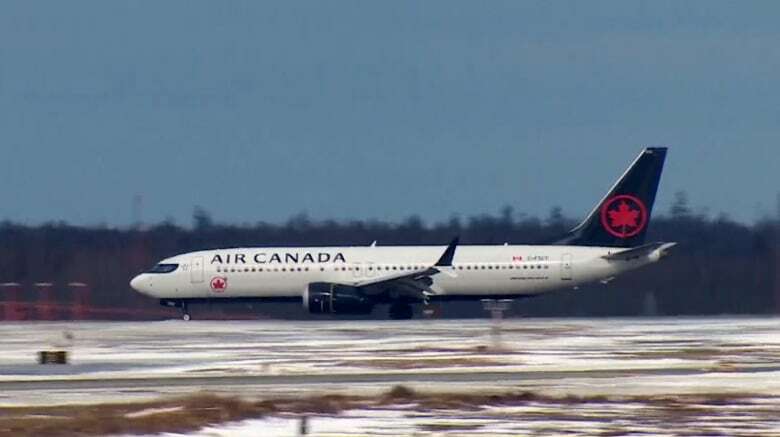 Air Canada Flight 860 was scheduled to leave Halifax on Tuesday night, bound for London's Heathrow Airport. But early Tuesday afternoon, Air Canada changed the status of the flight on its website, showing it is now cancelled. Flight 861 from London to Halifax on Wednesday was also cancelled. The airline also cancelled Flight 822, scheduled to leave St. John's for Heathrow on Wednesday night. Flight 823 from Heathrow to St. John's on Thursday was also cancelled. An Air Canada flight from Heathrow was one of the very last Max 8s to depart U.K. airspace, minutes before the ban was announced. The plane landed safely in Halifax Tuesday afternoon. Several passengers who got off that Max 8 flight told CBC News they weren't worried about the aircraft model and had no concerns about the flight. However passenger Tim Bunker, 32, said he found it "a little disconcerting." In a statement, Air Canada said it was working to rebook customers on the cancelled flights as soon as possible through its Montreal, Toronto and Ottawa hubs. It also said impacted customers could rebook their flights at no added cost. The airline said it is confident in the safety of its operations and fleet. However, on Tuesday, it announced that customers "who for their own personal reasons" do not wish to fly on a Max 8, it would offer "flexible rebooking" to another aircraft, if available, space permitting. The airline asked customers to be patient with call centre staff due to a high anticipated call volume and has not responded to a CBC News query as to whether or not the rebooking is free. Martyn Amos, a professor in Newcastle upon Tyne in northeast England, is due to fly with Air Canada from London to Halifax on Sunday. He contacted the airline after the U.K. airspace ban was announced Tuesday about whether his flight will be changed. "They were fairly vague because obviously they're scrambling around right now trying to find alternative arrangements," he told CBC News. "They can't really give any clear indication beyond simply if your booking changes, we will send you an email." He said that prior to the airspace ban, he was concerned about the fact he was due to fly on a Boeing 737 Max 8. "The manufacturer has clearly acknowledged there's an issue with the aircraft and they're taking steps to remedy that," he said. "My personal concern was that those modifications to the aircraft would not be in place prior to my flying on Sunday." Canadian Transport Minister Marc Garneau has said it would be "premature" to ground all 41 of those planes currently owned by Canadian air carriers. He reiterated Tuesday there are no plans to follow the example of the U.K. in suspending the jet from Canadian airspace. Shortly after that statement, he tweeted he was meeting with his civil aviation expert panel to discuss the Max 8 aircraft. I've canceled all my meetings and public events today in order to meet with my Civil Aviation Expert Panel. All evidence is being evaluated in real time and we're considering all potential actions. WestJet is scheduled to use Max 8s for its seasonal routes from Halifax to London Gatwick, Glasgow and Paris starting in late April. A spokesperson for WestJet told CBC News there are currently no impacts on those routes at this time. WestJet currently uses Max 8s for some flights on routes from Toronto and Calgary to some sun destinations in Mexico and Jamaica. The aircraft also is used on some of WestJet's routes within Canada, such as Calgary-Toronto and Vancouver-Calgary. Air Canada's Max 8s are used for some flights on the Toronto-Vancouver, Montreal-Vancouver and Montreal-Calgary routes. On Tuesday, Air Canada flights from Vancouver to Los Angeles, Honolulu and Puerto Vallarta used Max 8 aircraft, along with flights from Montreal to San Francisco, Los Angeles and Martinique, and from Calgary to Palm Springs, Calif.
Sunwing's Max 8s operate on routes including Calgary to Liberia, Costa Rica. Sunday's Ethiopian crash is the second such deadly incident for a Boeing 737 Max 8 model in less than six months. In October, a Lion Air plane crashed into the Java Sea just minutes after takeoff from Jakarta, killing 189 aboard.